On 10 May 2018, after Malaysia's 14th general election, Malaysians woke up to a new Malaysia as Malaysians voted out Barisan Nasional, a political coalition that had governed Malaysia since its independence in 1957. In an equally riveting turn of events, after having already served 22 years in office from 1974 to 2004, 92-year-old Mahathir Mohamad was again sworn in as Malaysia's Prime Minister. While Malaysians look on with anticipation as the new government begins their race against time to carry out the promises laid down in its manifesto, which includes an abolishment of the unpopular goods and services tax (GST) (having only been introduced in 2016 but argued to be responsible for rising prices) and stabilisation of petrol prices;2,3,4 in the meantime, amid recent revelations of staggering national debt,5 Malaysia is faced with an uphill task to restore investors' confidence. An individual in Malaysia is liable to income tax if he or she has income accruing in or derived from Malaysia (Malaysia-sourced income) or received in Malaysia from outside Malaysia (foreign-sourced income) for a year of assessment, for income in relation to banking, insurance, and sea or air transport businesses. Otherwise, all foreign-sourced income is exempt from tax. The residence status7 of an individual is also an important factor in determining how an individual will be taxed, as a resident individual is taxed on both income accruing in or derived from Malaysia and foreign-sourced income, while a non-resident individual is only taxed on income accruing in or derived from Malaysia. Business income includes any gains derived from a trade, profession or vocation. In ascertaining whether the gains are derived from a trade, profession or vocation, one should look at the relevant case law (including countries with taxation laws that are pari materia to Malaysia) as the MITA does not provide any statutory definitions. This word is also not defined in the MITA. Therefore, we look to case law for guidance on its definition. For instance, the case of Partridge v. Mallandaine ((HL) 2 TC 179) held that persons who attend races, engaging themselves in systematic bets, are involved in a vocation. An individual engaged in a business that falls under any of the above categories is subject to income tax on gains obtained thereof. Similarly, other gains arising from the running of a business, such as rental income and interest income, are also taxable. A fundamental principle of Malaysian income tax is that for income to be taxable as employment income it must be in respect of having or exercising an employment.13 The law in relation to employment income is quite clear in that one can clearly say that an individual who has a master and servant relationship or is remunerated for holding an appointment or office clearly falls under this category. With the worldwide focus on globalisation and the fact that cross-border transactions are becoming increasingly simpler to administer, international business operations and the use of international wealth structures by wealthy families or individuals are gaining popularity. In this regard, tax implications are inevitable. Akin to many other countries, Malaysia operates a territorial scope of taxation. The same income from a cross-border transaction may be taxed in two or more countries depending on determination of residency and permanent establishment. In this circumstance, double tax agreements (DTAs) entered into with various countries accommodate and deal with the tax conflicts. The implementation of the CRS will have consequences28 that will impact more than just financial institutions. Entities, including individuals, will be required to reassess their CRS status to fully comply with the corresponding obligations and submit the supporting documents to the relevant reporting financial institutions. On top of this, certain entities, such as passive non-financial entities or investment entities managed by other financial institutions in a non-participating jurisdictions, would be required to disclose the identity of individuals who exercise control over the entity, trust or legal arrangement. Benjamin Franklin once said: 'In this world, nothing is certain except death and taxes.' Of the two, death, though certain, cannot be predicted as to when it will happen. It is, therefore, important to ensure that one's estate is well planned in advance. The law of succession is an important law that regulates the inheritance and entitlement of properties both movable and immovable and even trusts and debts in the event of death. There are three main legislations in this area – the Wills Act 1959, the Probate and Administration Act 1959 and the Distribution Act 1958. The procedural requirements in court for probate proceedings are governed by Order 71 and Order 72 of Rules of Court 2012. The law of succession is influenced by English common law,29 owing to the fact that Malaysia was a colony of the British Empire prior to its independence on 31 August 1957. As it stands, of the 10 Member States of ASEAN, only three (i.e., Malaysia, Singapore and Brunei Darussalam) are members of the Commonwealth. There is no legislation to allow the re-sealing of a Malaysian grant of representation in non-Commonwealth Member States such as Thailand, Indonesia and the Philippines. In an era of globalisation, the time has come for ASEAN countries to look into harmonising laws of succession. It was commonly perceived that only the wealthy would plan their wealth and finance. However, as time passed, and through education and awareness, many now realise the importance of planning their wealth and finance in advance. The common vehicles or 'instruments' used in wealth, financial and estate planning are wills, codicils, trusts, foundations and charitable remainder trusts. In particular, wills and trusts are instruments that have proven effective in succession planning. High net worth individuals commonly use the combined package of trusts, foundation and charities in managing their wealth, with the goal of having their wealth to last over a few generations. Trust instruments,38 on the other hand, bypass the need for court processes (i.e., a grant of representation) but the effect of a trust is that the settlor will have to part with his or her assets from the time of formation of the trust, thus effectively putting him or her out of control of his or her own assets during his or her lifetime. Trust instruments also cater for very specific subject matters and may not be a viable replacement for a will in terms of testamentary disposition of assets. A trust instrument is a good supplement to a will. Charities and foundations, while getting more popular by the day in countries such as the United States, have yet to gain any real form of traction in Malaysia. In particular, the benefits of setting up a foundation – a hybrid of a trust and a company – that is able to tap into both the benefits of trusts and the advantages of being a corporate body, have not attracted the attention of individuals in Malaysia, with the exception of those high net worth individuals as a form of asset protection and wealth management. 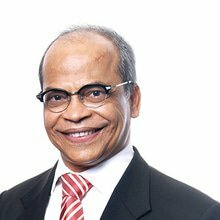 Though Malaysia has the necessary foundation law39 to offer private foundations as a vehicle for the protection of assets and estate planning, many have not seized this opportunity, perhaps because of a lack of awareness or high set-up costs. 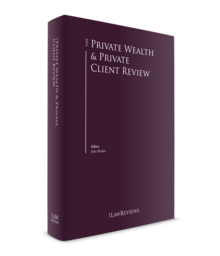 Just like wills and trusts, the public need to be educated and introduced to these two vehicles and when costs of setting up are reduced, perhaps we will see more resorting to foundations and charities for asset protection and estate planning. Wills are, by far, the most basic instrument to fall back on for estate planning and wealth management after death. The principles of English trust law are instrumental in moulding the Malaysian law of trusts. Today, it is primarily governed by the Trustees Act 1949 and the Civil Law Act 1956,40 which still allow for the applicability of the common law of England, rules of equity and statutes of general application, subject to qualifications. From a taxation perspective, Section 61(2) of the MITA provides that the income of the trust body of a trust shall be assessed and taxed separately from the income of a beneficiary from any source in relation to the trust.41 In other words, this necessitates that income tax can only be charged once, either in the hands of the trustee or the beneficiary when it is paid out to the latter. further sources,44 defined under the relevant provisions as the amount of excess from the difference between statutory income from the beneficiary's ordinary source in relation to the trust and the total income from all sums received in Malaysia from the trust body in the basis year, together with all sums received from outside Malaysia in any year and remitted to Malaysia in the basis year. at least half of the number of the member trustees are not resident in Malaysia for the basis year. For a beneficiary, residency status is regulated by Sections 7 and 8 of the MITA. in ascertaining the total income of the trust body for that year of assessment that amount shall be deducted in a specific manner stipulated by the relevant provisions. In terms of tax rates, the applicable tax rate in respect of a trust body is fixed at a rate of 25 per cent for the year of assessment 2014, and 24 per cent for subsequent years. This can be contrasted with the applicable tax rate for resident individuals, which stretches across a range of zero per cent to 28 per cent, depending on the income bracket, or that of a non-resident individual, which is fixed at 28 per cent.48 With the comparative tax rates in mind, the setting up of trusts in Malaysia may be a viable option for private clients. In line with Malaysia's efforts to brand itself as an Islamic investment hub, from the year of assessment 2007 to year of assessment 2020, exemptions are accorded to resident companies in Malaysia in respect of payment of income tax for statutory income derived from a business of providing fund management services to foreign investors49 or to local investors50 in Malaysia in respect of funds managed in accordance with sharia or Islamic principles. In Malaysia, the law governing charities is not entrenched in any specific act and instead comprises an array of Malaysian legislation, including the Companies Act 1965 and the Societies Act 1966, and case law. The terms 'charity' or 'charitable institution' are not expressly defined in the MITA. Rather, Section 44(6) of the MITA accords deductions at specific rates for gifts of money made to an organisation or institution51 approved by the relevant authorities. This deduction is read in line with Paragraph 13, Schedule 6 of the MITA, which accords tax exemption to institutions, organisations or fund approved for the purposes of Section 44(6) or religious institutions, organisations or funds that are not operated or conducted primarily for profit and that are established in Malaysia exclusively for the purposes of religious worship or the advancement of religion. In short, an organisation, institution or fund that obtained approval from the relevant authorities under Section 44(6)52 will automatically53 be eligible for tax exemption. Therefore, the requirement for approval, as well as limitations in terms of the nature of business and the utilisation of profits derived, should very well be taken into consideration when weighing the merits of a charitable institution or organisation or fund as a wealth-structuring vehicle. In Malaysia, the establishment of a limited liability partnership (LLP)63 is governed by the Limited Liability Partnerships Act 2012. Unlike conventional partnerships under the Partnership Act 1961, under which individual partners are subject to income tax, an LLP is treated as a separate taxable person for the purposes of the MITA. Its residence status is accorded for under Section 8(1A) of the MITA and the MITA stipulates that for an LLP64 the responsibility for carrying out all acts required to be done by or on behalf of a LLP lies jointly and severally with either the compliance officer appointed among the partners or if no such person is appointed, any one or all of the partners. With effect from year of assessment 2017, for an LLP resident in Malaysia with a total contribution of capital (whether in cash or in kind), the chargeable income for the first 500,000 ringgit would be 18 per cent and for every ringgit exceeding 500,000, the tax rate would be 25 per cent for year of assessment 2015, and 24 per cent for subsequent years.65 It is noted that this provision does not apply if 50 per cent of the capital contribution (cash or in kind) is directly or indirectly contributed by a company, 50 per cent of the paid up capital of the ordinary shares of the company is indirectly owned by the LLP, or 50 per cent of the capital contribution and 50 per cent of the paid up capital is directly or indirectly owned by another company. The Federal Territory of Labuan, a federal territory of Malaysia best known as an offshore financial centre, offers attractive alternatives in its bid to attract investors. With a sound and robust regulatory framework in place, some of its key highlights are as follows. Where a Labuan trust is validly created, the courts do not vary or set it aside. In addition, the courts do not recognise the validity of any claim against the trust property in question pursuant to the laws of a foreign jurisdiction unless in specific circumstances,78 or if it is proven that the trust is fraudulent.79 The unenforceability of claims of a foreign jurisdiction may be a factor to be taken into account in considering the viability of a Labuan trust. The accession of the Labuan Financial Services and Securities Act 2010 further establishes a more comprehensive framework in relation to private funds management in Labuan. The Act governs the requirements on an establishment of a private fund in Labuan, including the requirement for notice for private funds,80 as well as the appointment, duties and other aspects pertaining to private trust companies in Labuan to increase its appeal, with regard to the provision of wealth management facilities, and attract more private investors. It is apt that, in line with the various recommendations by the Financial Action Task Force,88 Malaysia has the necessary legislation in place to counter these illegal activities. Malaysia's primary anti-money laundering regulation is the Anti-Money Laundering, Anti-Terrorism Financing and Proceeds of Unlawful Activities Act 2001 (AMLATFA). The AMLATFA came into operation on 15 January 2002 as a legislation to, inter alia, provide for the offence of money laundering, the measures to be taken for the prevention of money laundering and to provide for the forfeiture of property involved in or derived from money laundering, proceeds of an unlawful activity and instrumentalities of an offence, and incidental matters. This is further supplemented by Section 114 of the MITA, which provides for the criminal offence of tax evasion – a 'serious offence' as defined under AMLATFA. Although AMLATFA came into operation in early 2002, it is pertinent to note that the Act is applicable to any serious offence, foreign serious offence or unlawful activity whether committed before or after the commencement date and applies to any property situated in or outside Malaysia.89 In other words, the Acts covers a wide range of activities90 and have far-reaching implications that may transcend time or territorial limitations. 1 DP Naban is a senior partner, SM Shanmugam is a partner, Ashley Lee Si Han is a senior associate, and Heng Jia and Christine Lay Kei Een are associates at Lee Hishammuddin Allen & Gledhill. 2 See the Pakatan Harapan manifesto launched on 8 March 2018, especially its pledge to fulfil 10 promises in 100 days: https://pages.malaysiakini.com/100days/en/iframe.php?link=https://pages.malaysiakini.com/100days/Manifesto-PH-EN.pdf. 3 See 'Dr M: Pakatan needs more than 100 days to fulfil manifesto pledges', New Straits Times (https://www.nst.com.my/news/nation/2018/06/375608/dr-m-pakatan-needs-more-100-days-fulfil-manifesto-pledges). 4 While the swift change of the GST rate from 6 per cent to zero per cent on 1 June 2018 was greeted by Malaysians with joy, the new government is tasked with introducing alternative fiscal measures to make up the shortfall from GST. In May 2018, the Ministry of Finance announced that the sales and services tax (SST), which preceded GST, will be reintroduced on 1 September 2018. 5 'Malaysian debt risk on uptrend', The Star Online (https://www.thestar.com.my/business/business-news/2018/06/27/malaysian-debt-risk-on-uptrend/). 6 Section 3 of the Income Tax Act 1967. 7 Section 7 and Schedule 1 of the Income Tax Act 1967. 8 See the 2016 Budget Speech (www.bnm.gov.my/files/Budget_Speech_2016.pdf). 9 Section 4 of the Income Tax Act 1967. 10 See the Radcliff Commission final report in 1954, United Kingdom. 11 CIR v. Maxse [(CA) 12 TC 41]. 12 Section 2 of the Income Tax Act 1967. 13 McMillan v. Guest (24 TC 190). 14 Murray v. Goodhews  STC 207. 15 Section 2 of the Real Property Gains Tax Act 1976. 16 See Section 2 of the Real Property Gains Tax Act 1976, on definition on 'permanent resident'. 17 Schedule 5 of the Real Property Gains Tax Act 1976. 18 Section 132(1) of the Income Tax Act 1967. 19 See Paragraph 16 of Schedule 7 of the Income Tax Act 1967. Bilateral credit means credit in respect of foreign tax which, by virtue of any arrangements having effect under Section 132, is to be allowed as a credit against Malaysian tax. 20 Section 133 of the Income Tax Act 1967. 21 Jayapalan Kasipillai, A Comprehensive Guide to Malaysian Taxation, Third Edition (2007) McGraw-Hill. 22 See Lembaga Hasil Dalam Negeri Malaysia v. Alam Maritim (M) Sdn Bhd (2013) MSTC 30-068 and Re Geoffrey Robertson  4 CLJ 317. 23 See Director General of Inland Revenue v. Euromedical Industries Ltd (1981) 2 MLJ 208 and SGSS Singapore (Pte) Ltd v. Ketua Pengarah Hasil Dalam Negeri (2000) MSTC 3814. 24 Sections 132A and 132B of the Income Tax Act 1967. 25 See the Wealth Report 2018, Knight Frank (http://www.knightfrank.com/resources/wealthreport2018/the-wealth-report-2018.pdf). 26 See the implementation timeline set out by the Malaysian tax authorities (http://www.hasil.gov.my/bt_goindex.php?bt_kump=6&bt_skum=2&bt_posi=1&bt_unit=2&bt_sequ=1). 27 Income Tax (Automatic Exchange of Financial Account Information) Rules 2016 (PU(A) 355/2016) defines a 'High Value Account' as a 'Preexisting Individual Account with an aggregate balance or value that exceeds USD 1,000,000.00 as 30 June 2017, 31 December 2017 or 31 December of any subsequent year'. 28 See Sections 113A and 119B of the Income Tax Act 1967. 29 Section 3 of the Civil Law Act 1956 (Revised 1972). 30 See the Distribution (Amendment) Act 1997. 31 Section 6 of the Distribution (Amendment) Act 1997. 32 See: EU Law 650/2012 (Brussels IV Regulation). 33 Section 52 of the Probate and Administration Act 1959 (Revised 1972). 34 See Speech by the Right Honourable Tun Arifin Bin Zakaria, Chief Justice of Malaysia at the opening of the legal year 2016 at Paragraph 50. 35 As per the effect of Section 18 of the Wills Act 1959 (Revised 1988). 36 Section 5 of the Wills Act 1959 (Revised 1988) and Chenna Gounder Kandasamy v. Angamah Sunappan  7 CLJ 914. 37 See Liong Seow Keng & Ors v. Ho Soon Cheng  6 CLJ 761. 38 As defined in Parameshiri Devi & Anor v. Pure Life Society  1 MLJ 142. 39 See the Labuan Foundations Act 2010. 40 Section 3 of the Civil Law Act 1956. 41 Section 61(2) of the Income Tax Act 1967. 42 Section 61(1)(b) of the Income Tax Act 1967. 43 Section 61(1)(c) of the Income Tax Act 1967. 44 Section 61(5) of the Income Tax Act 1967. 45 Section 61(3) of the Income Tax Act 1967. 46 Paragraph 28, Schedule 6 of the Income Tax Act 1967. 47 Section 63(3) of the Income Tax Act 1967. 48 Schedule 1 of the Income Tax Act 1967. 49 Income Tax (Exemption) (No. 15) Order 2007 (PU (A) 199/2007). 50 Income Tax (Exemption) (No. 6) Order 2008 (PU (A) 255/2008). 51 Section 44(7) of the Income Tax Act 1967, which defines 'institution' and 'organisation' respectively. 52 Section 44(6) of the Income Tax Act 1967. 53 See: Public Ruling of the Malaysian Inland Revenue Board (Public Ruling No. 1/2015). 54 See Finance Act 2017. 55 Section 44(7B) of the Income Tax Act 1967. 56 Section 44(7A) of the Income Tax Act 1967. 57 See Income Tax (Exemption) Order 2017 (PU (A) 52/2017). 58 See the decisions of the Malaysian courts in Metacorp Development Sdn Bhd v. Ketua Pengarah Hasil Dalam Negeri  5 MLJ 447 and KPHDN v. Success Electronics (2012) MSTC, Paragraph 30-039. 59 See the IRB's Guidelines for Application of Approval under Subsection 44(6) of the Income Tax Act 1967. 60 Section 44(7A) of the Income Tax Act 1967. 61 See qualification at Section 44(7B) of the Income Tax Act 1967. 63 See definition under Section 3 of the Limited Liability Partnerships Act 2012. 64 Section 75B(1) of the Income Tax Act 1967. 65 Paragraphs 2D, 2E and 3 of Part I, Schedule 1 of the Income Tax Act 1967. 66 Under the Limited Liability Partnership Act 2012. 67 See Income Tax (Exemption) (No. 2) Order 2017 (PU (A) 117/2017). 68 Subsections 75B(3) and (4) of the Income Tax Act 1967. 69 Section 7(6) of the Labuan Trusts Act 1996. 70 Section 4 of the Labuan Business Activity Tax Act 1990 defines 'Labuan trading activity' and 'Labuan non-trading activity'. 71 Section 9 of the Labuan Business Activity Tax Act 1990. 72 Section 7 of the Labuan Business Activity Tax Act 1990. 73 Section 3A of the Labuan Business Activity Tax Act 1990. 74 Section 7 of the Labuan Trusts Act 1996. 75 Section 7 of the Labuan Trusts Act 1996. 76 Section 8A of the Labuan Trusts Act 1996. 77 Labuan Business Activity Tax (Automatic Exchange of Financial Account Information) Regulations 2018. 78 Section 10 of the Labuan Trusts Act 1996. 79 Section 11 of the Labuan Trusts Act 1996. 80 Section 28 of the Labuan Financial Services and Securities Act 2010. 81 Sections 5 and 6 of the Labuan Foundations Act 2010. 82 Section 6(3) of the Labuan Foundations Act 2010. 83 Sections 5(2) and 6(2) of the Labuan Foundations Act 2010. 84 Sections 62 to 64, 71 and 73 of the Labuan Foundations Act 2010. 85 Section 55 of the Labuan Limited Partnerships and Labuan Limited Liability Partnerships Act 2010. 86 Sections 55 and 56 of the Labuan Limited Partnerships and Labuan Limited Liability Partnerships Act 2010. 87 See: FATF (2015), Financing of the terrorist organisation Islamic State in Iraq and the Levant (ISIL), FATF, (www.fatf-gafi.org/topics/methodsandtrends/documents/financing-of-terrorist-organisation-isil.html). 88 See: Among others, FATF 2001 recommendations, FATF 2012 recommendations, FATF 40 recommendations. 89 Section 2(1) and (2) of the AMLATFA. 90 Section 4(1) of the AMLATFA. 91 'Minister says Malaysia has adopted comprehensive framework that criminalises terrorism financing' (http://www.themalaymailonline.com/malaysia/article/minister-says-malaysia-has-adopted-comprehensive-­framework-that-criminalise#sthash.3hjr0aaL.dpuf). 92 'The World's Super Rich Populations are Growing but Where Is Growth Strongest? ', Knight Frank (http://www.knightfrank.com/wealthreport/2018/global- wealth/new-order). 93 'Malaysia's Super Rich Own the Most Homes in Asia Pacific', The Edge (http://www.theedgemarkets.com/article/malaysias-super-rich-own-most-homes-asia-pacific). 94 'Number of Ultra-Wealthy Malaysians On the Rise', The Star (https://www.thestar.com.my/business/business-news/2018/04/05/number-of-ultra-wealthy-malaysians-on-the-rise/).